Clek Foonf can be used in two modes: rear-facing and forward-facing 5-point harnessed. It’s a two-way seat so it cannot be used as a booster seat. 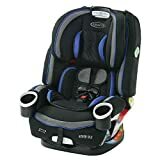 A newborn infant weighing 5 pounds and is 19 inches long could be accommodated in the Foonf in the rear-facing mode with the separately sold infant-thingy. 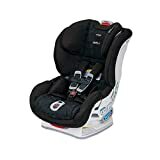 This rear-facing mode should be used until the child’s weight is 50 pounds; the child’s height is 43 inches and can already sit upright without help. 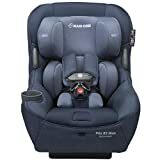 The forward-facing mode of Clek Foonf is designed to accommodate a child at least one year of age (although the recommended age is 2 years old), 22 to 65 pounds in weight and 30-49 inches in height. 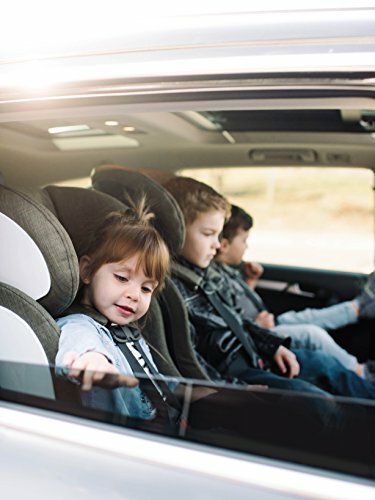 To be able to place your children appropriately inside the vehicle you already own is a plus. Thus, the dimensions of the Clek Foonf is among the things that matter apart from its safety features. Its widest point is 16.9 inches. Its base measures 13 inches. 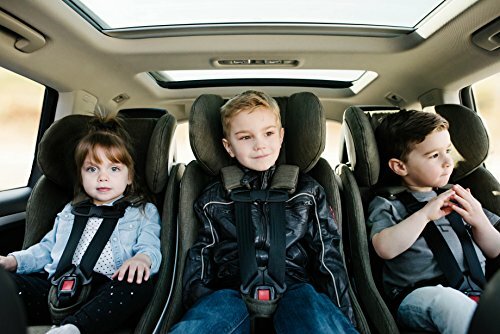 This 3-across car seat may look bulky, but it can be slim enough to actually sit three kids across the back seat safely and comfortably in most car models. 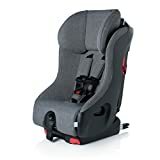 When installing the Clek Foonf car seat, you’ll need to do the following as a preparation. The rear-facing base will allow you to control the recline. Just slide this wedge in the holes located on the base of the car seat and lock it in place. See the video on how you can easily do the above three steps. Once you are done with the above-mentioned steps, you need to recline the seat all the way back. 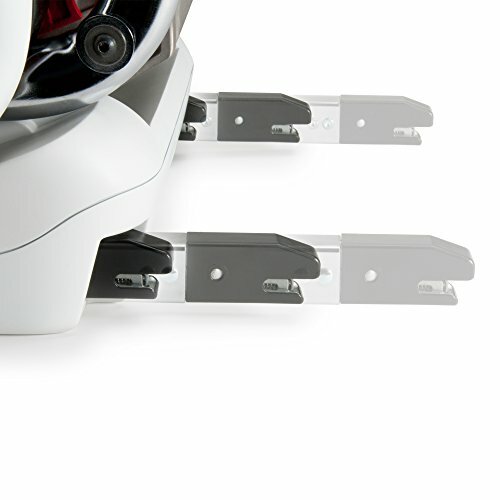 The LATCH connector “straps” are under the seat bum area. You’ll need that for the rear-facing LATCH installation. Remember, the Anti-Rebound Bar is required in the rear-facing mode at all times. Should your vehicle be the older model (cannot be used with LATCH), a seat belt install can be easily done. 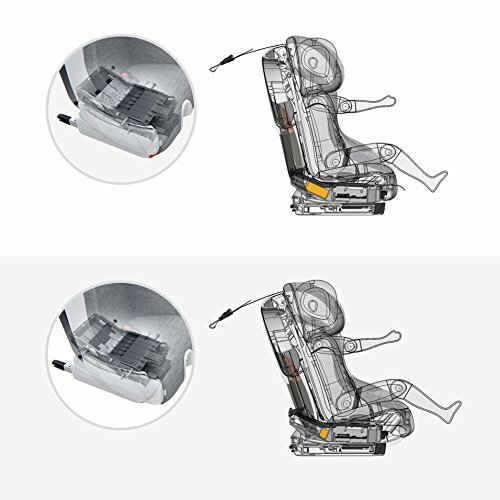 The visible belt path, as well as the belt tensioning lock offs, are both made to ensure that the seat is secured in rear-facing mode. Clek Foonf’s seat belt install is great not only for older vehicles but especially if the seat will be transferred frequently from one car to another. Here’s a video that can help. 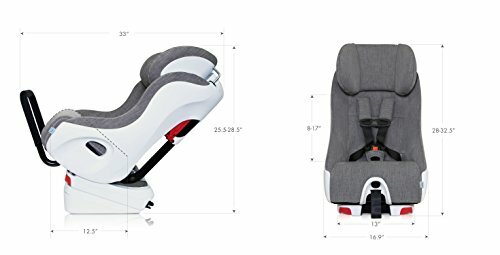 Clek Foonf is one of the few convertible car seats with a “rigid LATCH.” Remember the LATCH “straps” used in the rear-facing mode? That’s how the “usual” LATCH connectors look like for most car seats. The “rigid LATCH” to be used in the Clek Foonf’s forward-facing mode looks different. The rigid LATCH is already attached to the car seat. It needs to be connected to the vehicle’s anchor simultaneously. To do the process comfortably, you will need to push the seat across it, all the way to the front to give you some working space. 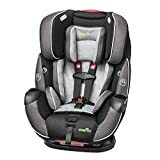 One of the ways to see that you have safely installed the car seat in the forward-facing mode is when the rigid LATCH indicator is green. 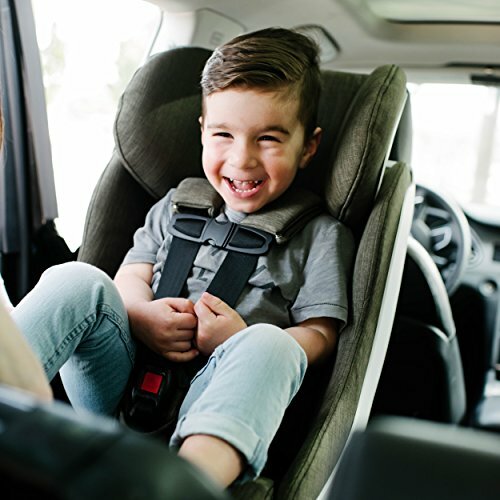 For safety purposes, you’ll still have to push and pull the car seat side to side and front to back to make sure that it doesn’t move more than an inch. If it doesn’t, you have a safe install. You can use a combination of “Rigid Latch” AND seat belt in the forward-facing mode. The added tether installation varies from vehicle to vehicle. You will have to check the location of your vehicle’s tether anchor so you’ll know where to attach the tether strap. 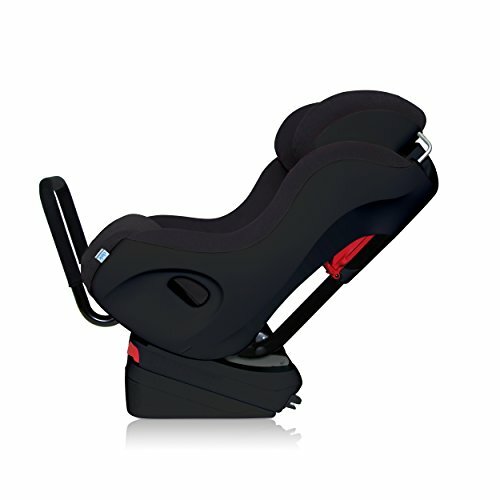 The Clek Foonf car seat can be installed and uninstalled quickly. See this video on how to perform a forward-facing install. 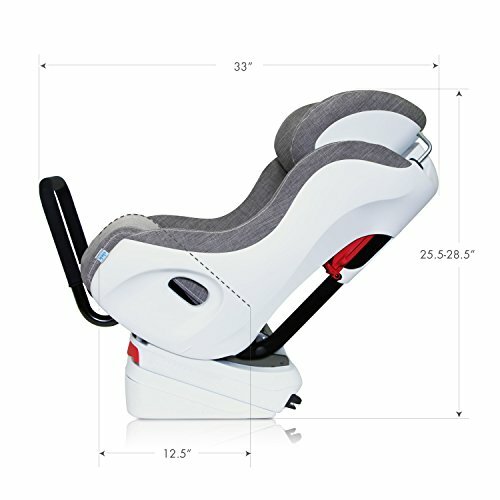 The Clek Foonf car seat is tank-like in construction. Its substructure is engineered with magnesium and steel. The anti-rebound bar (ARB) offers additional security. The ARB is what can prevent frontal and rotational rebound during a side-impact collision. 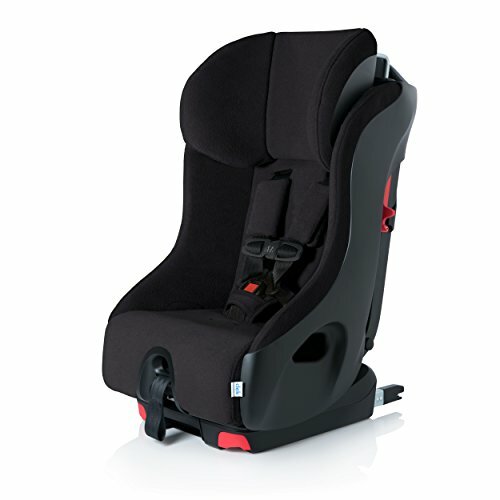 This feature allows the seat to be firmly nested and flat on the vehicle seat. Foonf also has “crumple zones” for a revolutionary safety feature. This is said to absorb the energy occurring during a crash and protect the young passenger. 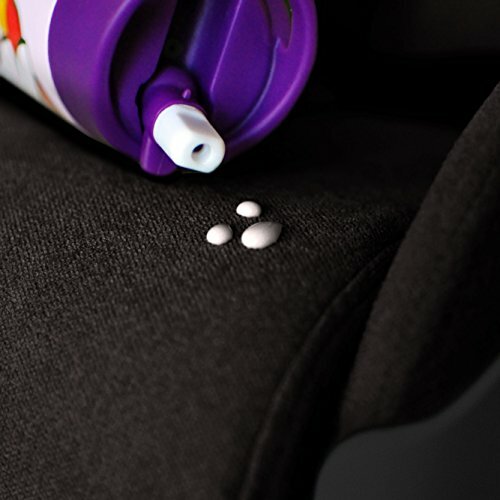 Further absorbing the energy is the dual layer of “foam” in this car seat. 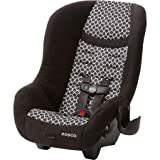 Most car seats have “EPS” foam, which, according to them, has a tendency to break in a car crash. The Clek Foonf has an “EPP” foam, which according to them, is sturdier. Foonf is, NCAP tested, FAA certified and can be used in an airplane. 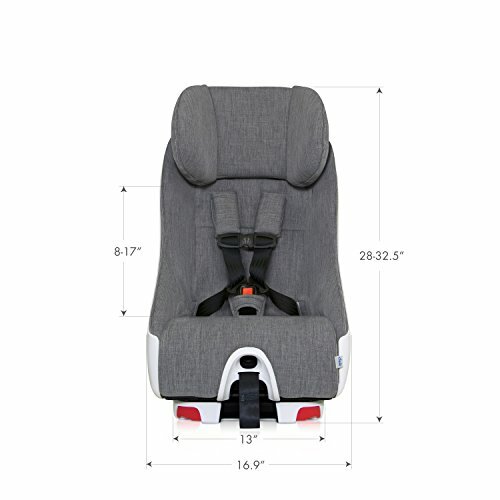 It is also compliant with appropriate Federal Motor Vehicle Safety Standards. On the downside, there are parents who say that the buckles can be stiff sometimes. Better pay attention to how you clean it as it can affect how easy or difficult you can use it. The package of Foonf contains the Clek Foonf car seat, the ARB, the rear-facing base and the owner’s manual. Product registration must be done online (within 3 months after purchase) and with this, the warranty of your purchased product will be extended for two years. Moreover, registration will help inform you about product updates. 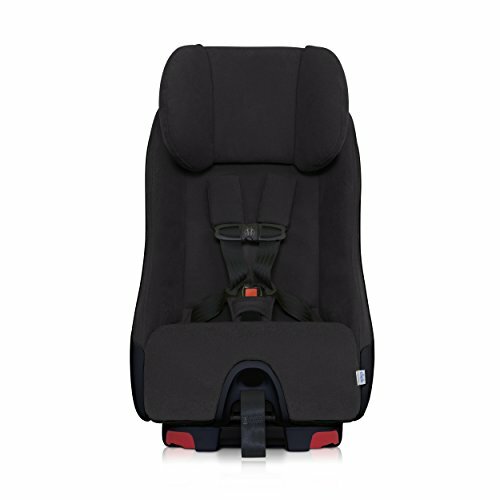 The Foonf is like other car seats from Clek that can be recycled through the company’s recycling program. Clek is known for its “Crypton (Super fabric)” seat. It has permanent protection against bacteria, moisture, and stains. These fabrics are free from chlorine, as well as bromine flame retardants. The seat cover is said to be stain-proof, but anything (dirty) can happen with children and toddlers. It is not washable, so Clek offers a fabric cleaning kit which can add up to the cost in the long run. Foonf has been updated in 2017 and the new version now has more padding and added protection for the crotch strap. If you bought Foonf prior to this 2017 update, you may buy the new padding from Clek instead. 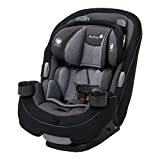 If you look at all the car seats I have reviewed, most of them do not have the “Rigid LATCH,” – even the Clek Fllo which is from the same brand. 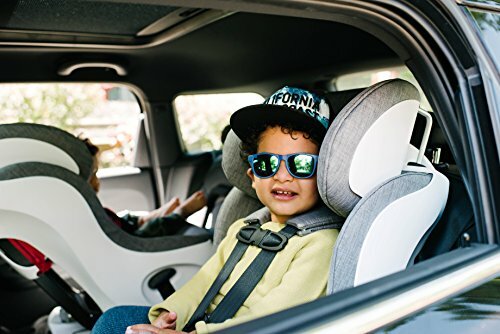 At least as of writing this review, their forward-facing modes use the “strap” LATCH which, depending on your experience with car seats, can be easy or “difficult” to tighten. With the Rigid LATCH of Clek Foonf, it is trying to say, “Hey, this is how it should be done!” Lol. I’m just trying to make sense of their slogan. Because honestly, I don’t know what’s the reason behind it. Or maybe because of its “EPP” foam, which is better than the “EPS” foam (cheaper car seats have EPS foams). 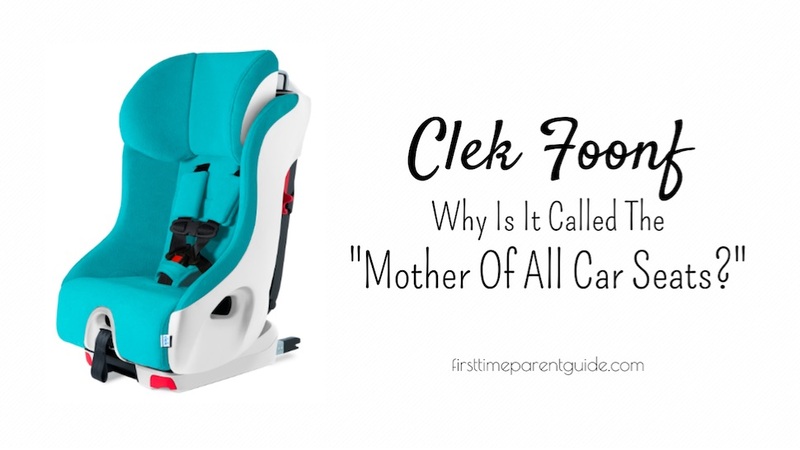 Being a “mother of all car seats” also probably entails the Clek Foonf’s high points: the highly advanced safety features, sturdy construction, and streamlined appearance. 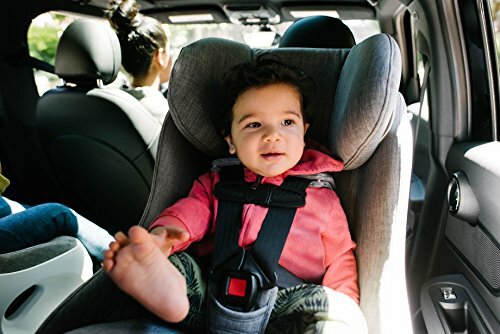 Car seats are not just meant as a device that will keep babies and children in their place while riding a car. 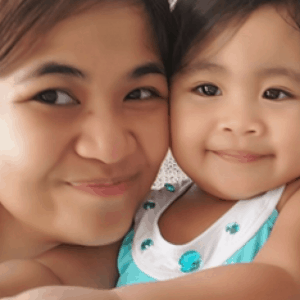 More than being a seat, they are also supposed to be the bubble wrap that will keep these young passengers safe – and Clek Foonf is certainly a “mother” in that aspect. Honestly, I have been avoiding to review the Clek brand for long since I thought it was too overpriced. 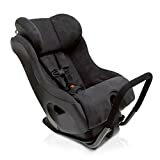 I thought my readers will not need it anymore since I already found “Good Convertible Car Seats” to recommend. But I was wrong. I would really buy the Clek Foonf and pay little attention to its hefty price tag. For what it can deliver, you’ll have a second “mother” inside your car. I highly suggest that you check out the feedbacks of parents who got this seat to help you decide further.